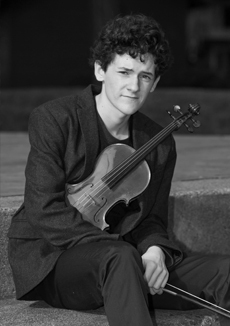 Evan Hjort is a student of Amy Schwartz Moretti and David Kim at the McDuffie Center for Strings. He has performed as a soloist with the Seattle Symphony and Seattle Philharmonic, among other orchestras, and served as concertmaster of the National Youth Orchestra of the United States. He has been privileged to work with many artists including Valery Gergiev, Christoph Eschenbach, Augustin Hadelich, and Emmanuel Ax, and he has performed in historic venues throughout Europe, Asia, and America. He is also an avid composer, photographer, and film student.